Celtic music, on the quieter side though, nothing you’d dance a jig to. 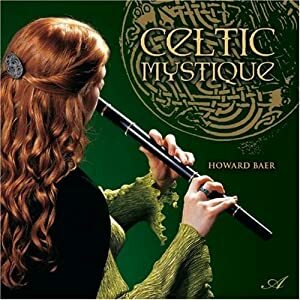 Instrumentation includes pipes, Irish flutes and whistles, fiddle, Celtic harp, guitar, mandolin & percussion. There are some more upbeat tracks, such as “Planxty Lady Wrixon”, which take you into village life during a bright and cheery day. Even the more upbeat song “Highland Dance” is rather relaxing.